As one of the top cities in Europe that welcome thousands of visitors every year, Budapest has a lot of top hotels to offer to the travellers. As a Muslim traveller, there are several options that you can choose. These Muslim friendly hotels in Budapest are strategically located in the heart of the city, which makes your tour easy and smooth. Also, they are located near several Halal restaurants in town! One of the best Muslim friendly hotels in Budapest that you can choose for your holiday is the Budapest Marriott Hotel. It offers a spectacular view of the river and city. There is also vegetarian breakfast for Muslim travellers. Plus, it is situated near a Halal eatery place, Al-Amir Restaurant. InterContinental Hotel is also one of the top Muslim friendly hotels in Budapest that you can stay at during your Halal holiday in Hungary. It offers a fantastic view of the river and castles in the city. 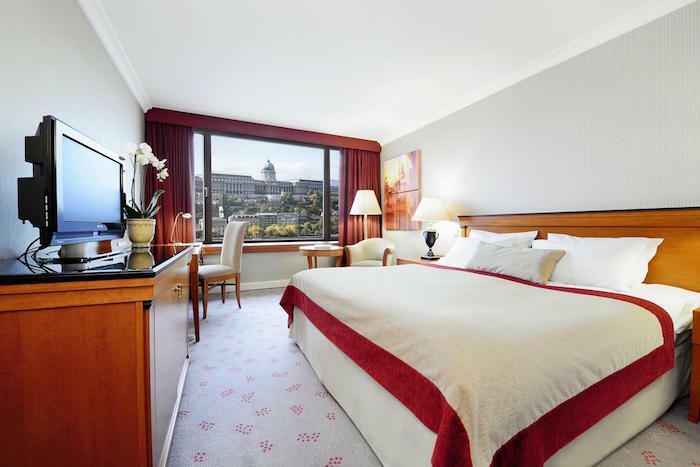 This five-star hotel is located near to several famous places such as Vigadó Concert Hall, Buda Castle, and State Opera House. You can also have breakfast or lunch at the nearby Halal restaurant, Al-Amir. 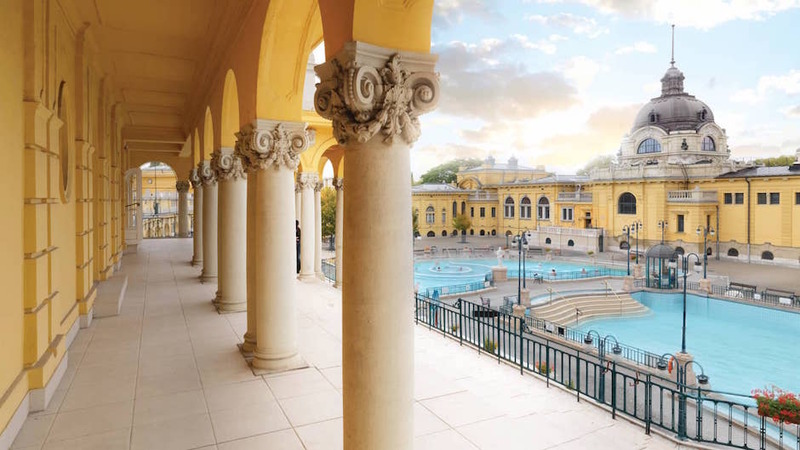 Would you like to pamper yourself during your Halal European vacation in Hungary? 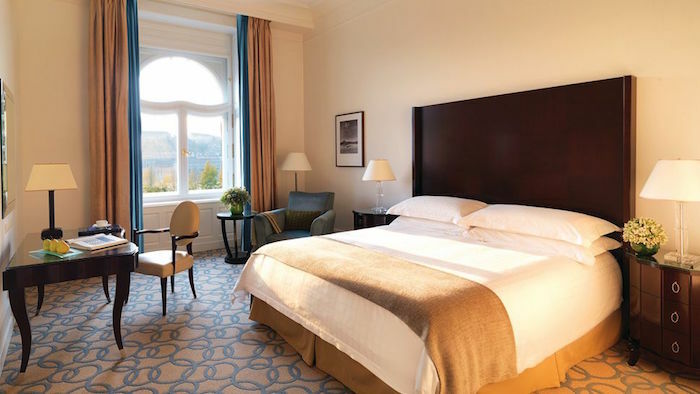 Then, you should choose the Four Seasons Hotel Gresham Palace. 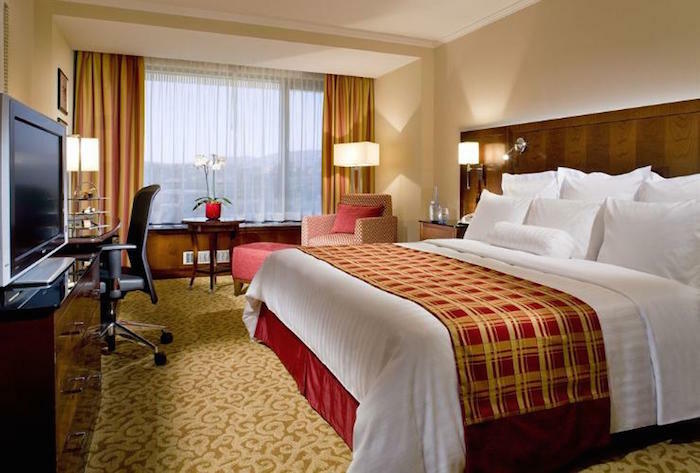 It is a luxurious five-star hotel in the city that can provide an enjoyable stay for you and your family. Here at Four Seasons Hotel Budapest, you can request vegetarian meals in advance. You can also enjoy Halal food at a nearby Halal restaurant such as Al-Amir. From your hotel room, you will enjoy the beautiful view of the city and the iconic Chain Bridge. 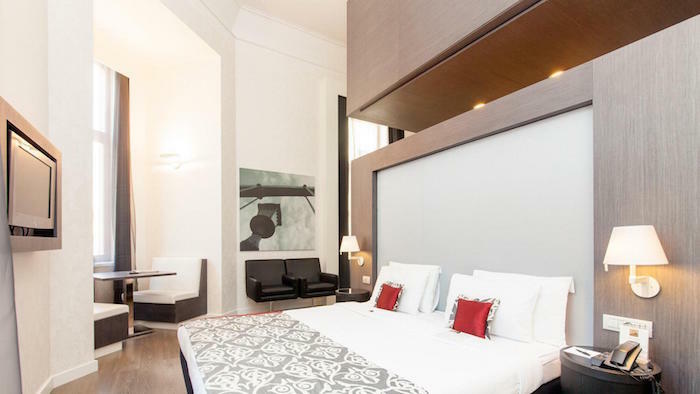 Set in a 19th-century building, Hotel Palazzo is another Halal hotel in Budapest that you can book. It is a four-star hotel that promises comfort and great hospitality to its guests. 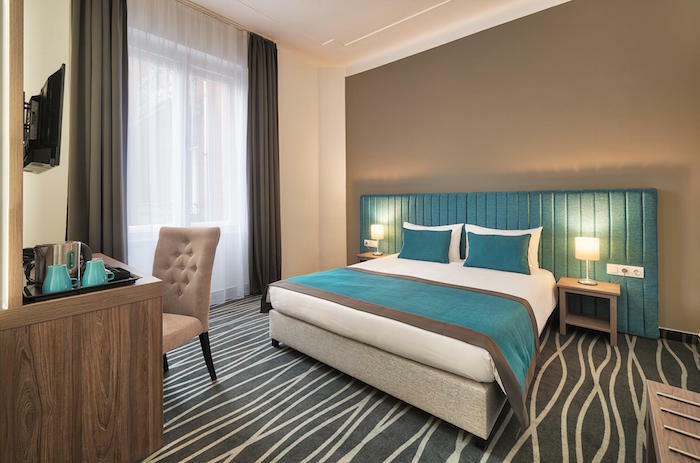 If you are to stay here, you can easily walk to some of the nearby attractions such as the Hungarian National Museum and Great Market Hall. Plus, you can also dine at the Halal restaurant that is situated close to the Hotel Palazzo, Curry House Restaurant. 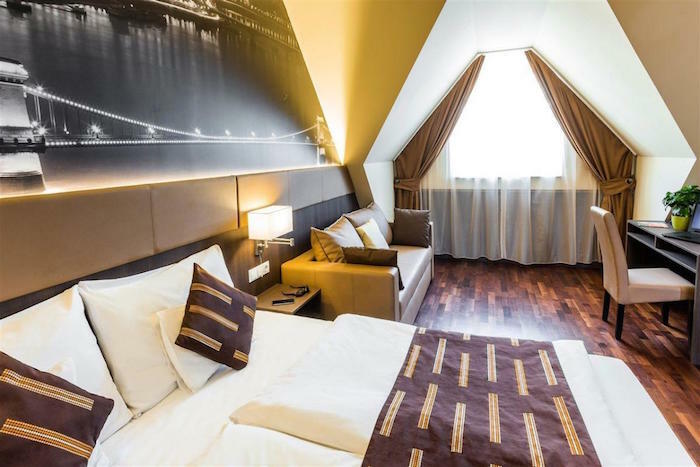 Great location, affordable room rates, and excellent services are some of the strengths of this hotel – Arcadia Hotel Budapest. It is located right in central Budapest in the neighborhood of Dohány Street Synagogue. By staying at one of these Muslim friendly hotels in Budapest, you can easily go to the nearby markets, shops, and Halal restaurants (Sultan Szeraj, Cairo Cafe & Titiz Cafe). Plus, top attractions in Budapest such as the National Museum and St. Stephen’s Basilica are only a few meters away from Arcadia Hotel. 12 Revay Hotel is another great Halal friendly hotel that is ideal for Muslim travellers. It is another top hotel that is located in the city centre, near several top places in Budapest. You can find the State Opera House at one end of the road and St. Stephen’s Basilica at another end. Besides its excellent location, you will also love this new hotel. It is elegantly furnished with modern decor. Plus, the hotel rooms are also very clean and comfortable. Some of the Halal restaurants near 12 Revay Hotel include Tanoura Egyptian Foods, Ali Baba, and Al-Amir. Finding Halal breakfast, lunch or dinner will not be an issue if you stay at this hotel! The Halal friendly hotels that we recommend above can provide a comfortable stay to you and your family during your trip to Budapest, Hungary. Besides being in the heart of the city, they are also located near to several Halal restaurants. You can get your Halal breakfast, lunch, or dinner there without any hassle! Travelling to Budapest soon? Check out this Muslim friendly travel guide!